It has been a while since I have posted one of the LBD challenges on my blog, since Polyvore seems to be the entry program of choice. However, I thought I would share with you my LBD Party Style this week since I actually used my own clothes! My party style was for Adam's second birthday on the weekend (full details on my blog this Thursday) and so I grabbed my new Little Black Dress and got to work to create a stylish yet comfy look for his party. I wanted to look nice but still be able to move freely. I put on my black striped cardigan and some back and white shoes. I even had my homemade cow print party hat on, and finished off the look with some cow print nails. 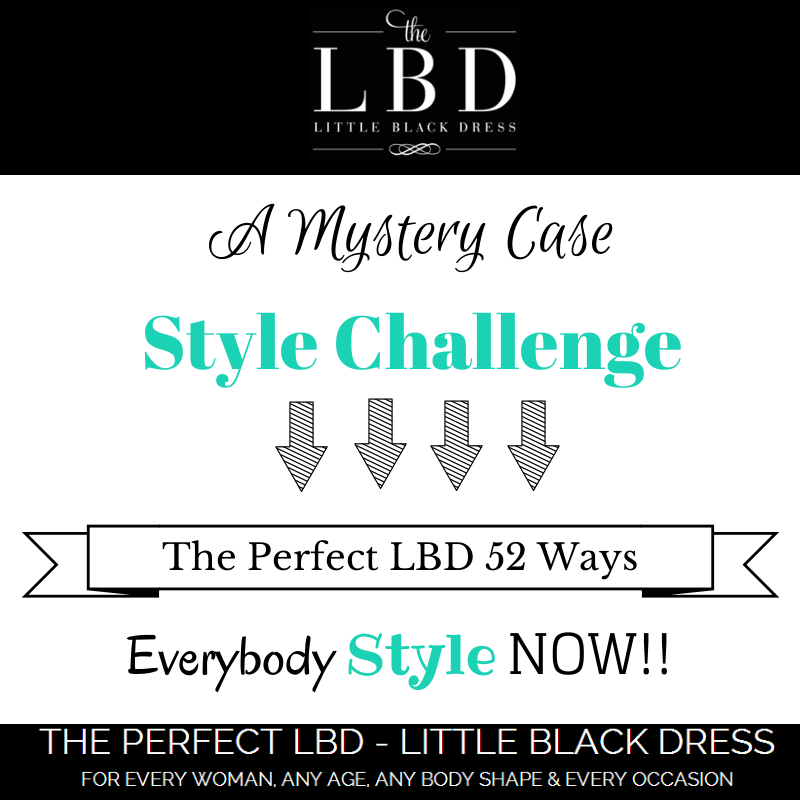 Feel free to join the LBD Style Challenge with Ms Mystery Case! Love this look and Polyvore isn't the entry point of choice, just one of them. You can enter any way you like. You actually get bonus points in my book for finding the time to do a blog post! You look lovely! Running around after kids at a birthday party requires something chic and smart, yet comfy and you've nailed it. Very cute! I love the nails! That is an adorable outfit and looks comfortable. I love stripes, esp black and white stripes, so of course I love your card!